Beyond BookSmart empowers young people and adults to manage themselves effectively by providing tools, strategies and mentoring that lead to a lifetime of success, allowing them to clarify and achieve what is important to them, be more fulfilled, and contribute to a better world. Founded by Michael Delman (Brown University, B.A., Lesley University, Masters in Education), Beyond Booksmart is an Executive Function coaching company that serves elementary, middle school, high school, and college students as well as adults worldwide, both through face-to-face online and in-person coaching. Michael Delman, CEO of Beyond BookSmart, is a Massachusetts Distinguished Educator, as well as the founder and former principal of the Christa McAuliffe Charter School. He established Beyond BookSmart (formerly known as Thinking Outside the Classroom) based on his experience working with students struggling to manage themselves. Michael witnessed a growing number of students at increasingly younger ages diagnosed with ADHD and other Executive Function-related challenges. He knew that the key to helping students and adults thrive is through teaching them specific skills to effectively manage their work demands and their personal lives. 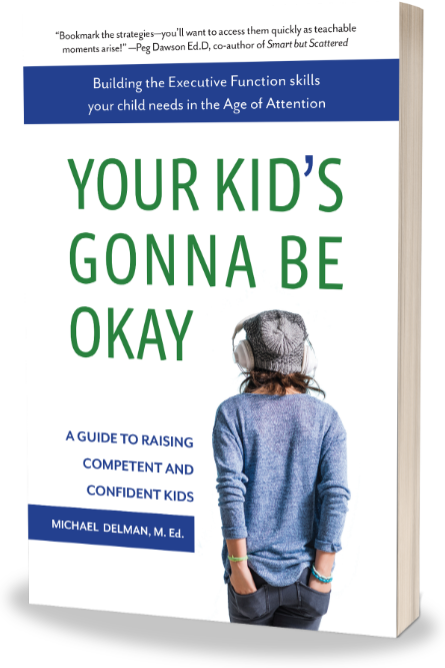 Michael has also published his first book, aimed at helping parents teach their children Executive Function skills, in June 2018 , that has earned critical acclaim. During the past 12 years, Michael's team of experienced educators and clinicians have developed a system for coaching students and adults that is unrivaled. With over 375 tools and strategies that can be customized for each student’s needs, the coaches at Beyond BookSmart are equipped for almost any challenge a client encounters. Our coaches engage in Beyond BookSmart’s ongoing professional development activities to continually refresh and expand their coaching resources. During regular supervision meetings, coaches collaborate and learn from each other to further refine their coaching skills. Beyond BookSmart has also pioneered online coaching methodology, which enables us to reach across the globe to help students be more effective learners. Finally, because we know it takes more than just a good tool or strategy to help clients transform their habits, our coaches are experts in the psychological aspects of behavior change. Michael Delman's research team was the first to apply and adapt a proven method of facilitating change, the Transtheoretical Model of Change developed by Dr. James Prochaska. Through the pioneering work of Michael and his team, the coaches at Beyond BookSmart have hundreds of approaches at their fingertips specifically developed to help students and adults make lasting and significant changes in the way they work and how they manage other aspects of their lives. We’ve invested thousands of hours in research and development since 2006 to develop the only comprehensive Executive Function coaching program of its kind. We are proud to be the recognized experts in teaching Executive Function skills. As the Director of the Learning and Emotional Assessment Program (LEAP) at Massachusetts General Hospital, I have found the professionals at Beyond BookSmart to be among the very best at implementing the type of executive function coaching that many of our children need. Their services are incredibly individualized to each student, their staff is extremely well-trained, and their treatment incorporates the very best of current research on children with learning and executive function challenges. My staff and I recommend Beyond BookSmart frequently, and the feedback we have received from the families we have referred has been nothing but positive."